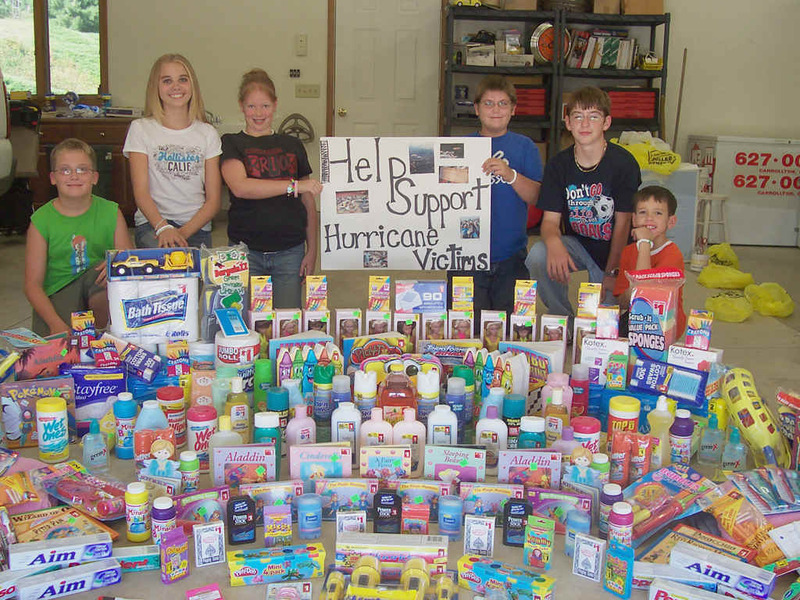 When the first ambulance left Ohio to head to the disaster areas left by Katrina, some of the "kids of EMT" went into "motion" to initiate a fundraiser to raise money to purchase things to be sent to the effected areas. These kids did this entirely on their own, by purchasing inexpensive supplies to construct bracelets with "SAVOK" on them, which stands for "Save All Victims Of Katrina" These kids, ranging in age from 8 to 14 then went to their local Rite Aid and asked for permission to set up a stand to sell these to the public. They raised $350 in their efforts, then went shopping! They purchased supplies and shipped them to a shelter in Baton Rouge housing displaced families. From Left to right, Brandon, Kourtney, Ashlee, David, Steven, and Kenny. Good Job Kids! This is the way to put others before yourself!